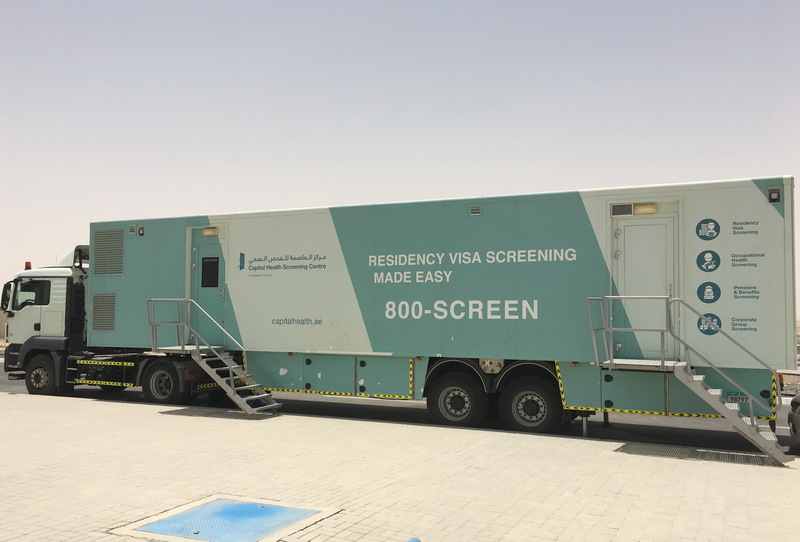 Behind Ruwais Mall you will find a residency visa screening mobile unit parked. 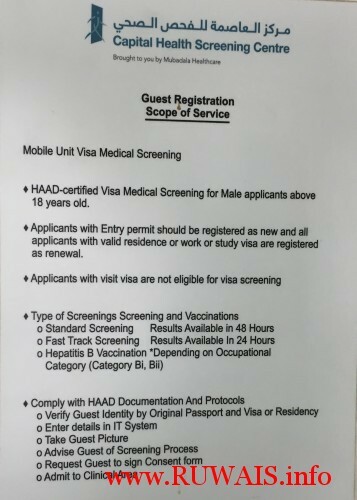 This has been made possible thanks to the collaboration of RHA and Capital Health Screening Centre. Basically if you need this type of medical services and don’t have time or can’t drive all the way to Ghayathi, you are in luck. This is a male (staff) only unit. 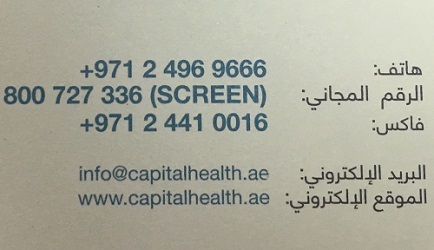 Standard Screening Cost is 250 AED : results are available in 48 hours. Fast Track Screening Cost is 350 AED : results are available in 24 hours. Regular working hours are from 7 AM to 4 PM. During Ramadan kindly visit them from 10 AM to 3 PM. Also, until further notice : The mobile unit will remain in Ruwais, until the medical facility becomes available inside Ruwais Mall. 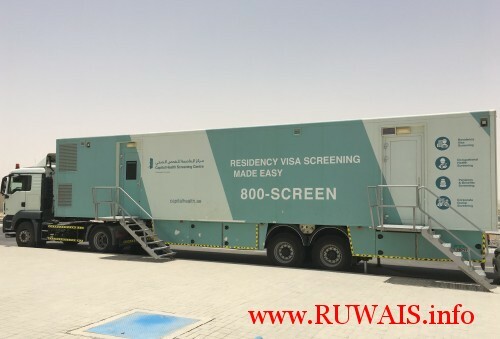 Is the mobile screening unit still available in Ruwais? It was informed that mobile screen service to Ruwais been stopped till further notice. Service discontinue till further notice.